Here is the link for our Unit #1 Test with Kahoot! We are wrapping up trimester one with our quiz over multiplying decimals this week. We’ll move on to the challenging topic of dividing decimal numbers now. We are spending Tues. and Wed. to dive into this topic. It will contain similar models from when we divided whole #’s (area model & partial quotients). This lesson will carry over into next week since we have Fri. off this week. We will most likely quiz either Wed. or Thurs. next week. The unit 1 test will take place on either Monday, Nov. Tues. 20 or Nov. 21st. Two more weeks to go before Fall Break as we wrap up multiplication this week and head to division starting at the end of week. 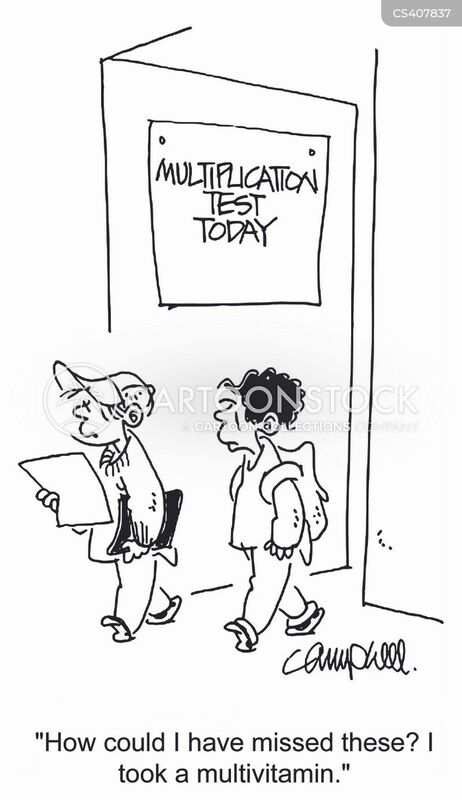 We will be having our lesson quiz on multiplication on Wednesday. The students will get a study guide that we will go over along with the results of their quick check before taking the quiz. The quiz will require students to be able to use area models and partial products when multiplying. On some problems they will be given an option of how to go about solving the problem through multiplication. We will then get into lesson #6 on division. The rest of the week will be learning how to use place value, estimating quotients, area models, and the relationship with multiplication to solve division problems. We will probably spend a solid week on this material since it can be challenging for students. The quiz will not occur until either Thursday or Friday, but I will play it by ear to see when. In my homeroom morning class, Mrs. Van Der Berg, our school instructional assistant, will be supporting lessons a couple days a week between this week and next. Also, the i-Ready computer program is for a weekly grade out of 10 points. All students should be able to reach their 45 minimum minute goal and at least one mastered lesson each week. If they are unable to do so, I’m encouraging students to use i-Ready at home through the website: clever.com/in/westfield when possible. This program is imperative in supporting our classroom work, but more importantly helping fill gaps for students and to allow them to be pushed forward. Also, if students are struggling or need improvement with knowing their basic facts for all operations I’m having them use xtramath.org. I can set them up with an account and parents can monitor progress very easily with a code I can provide. Just let me know if you would like me to enroll them in this free program. I will be enrolling some students myself to work on in school also. *One more reminder, remember students have the ability each week to earn up to 6 to 10 points of extra credit through the attempt and completion on my “stumper problems” that I give out in the beginning of the week. This can really benefit students grade wise and also challenge them to work through more difficult problems. After a big test this tomorrow over the first 4 lessons of Unit #1, we move on to finish unit #1 in the next month. This means multiplication of whole numbers. This is lesson along with division usually challenges students and can cause some frustration. This is also where knowing the basic facts (1-12) can really benefit a student. Those students who have these down can usually catch on and succeed in this lesson faster than those that struggle with them. This lesson will be co-taught this week with our instructional assistant, Mr. Van Den Berg. We will carry this lesson into early next week to ensure true comprehension. Also, just a heads up that we will be exposing students to partial products and area models, which can be a bit daunting. These algorithms are different than the “traditional” algorithm that most parents were exposed to an there education. Students will be getting their test back on Wednesday to go over. It is worth 100 points and will have a big impact on a students grades. I will be out of the classroom on Thursday morning for a meeting. Another week has flown by in math. We spent the short week going over lesson #3. Students were taught how to look at decimal numbers in a variety of ways. These involved converting them into fractions and mixed numbers, word format, and expanded form. The one that seemed to cause the most trouble for some students was the expanded form. They were required to put a chart in their book to help them convert a decimal to a fraction and given some strategies on how to do so. They were also given a little cheat sheet on putting them into fraction form and expanded form. We will be quizzing over this material on Monday after we do a study guide together and review their quick check from Friday. These quick checks are given to help see what we need to really talk about before giving the quiz. The next lesson will be our half way point for this unit. We will be doing a test after this next lesson (4A). The next lesson (4A) will involve comparing and rounding decimals. We will be starting this lesson on Tues. (9/13). During the previous week, we worked getting to know the 10 and the power it holds! 🙂 We started to get to know how to use exponents and their effect on the number 10. We talked about how using 10 as a base with exponents can represent 100, 1,000, and 10,000. We had a quiz on this concept last Friday. It seems as if students are either getting it completely or still no understanding the concept very well. These lessons build on each other so it is imperative that students “get it” for future lessons. Some students are still having trouble with multiplying and dividing decimals. Below is a link to help with more practice. This other link deals with problems using the power of 10 to multiply and divide decimals. Going forward, we’ll be looking at how to write decimals as fractions and how to say them them as a mixed number too. This lesson will go through this Friday. We will most likely take a quiz either Fri. or next Monday. I’m attaching the family welcome letter to this lesson below. Please feel free to open it and see what we will be doing this week. This past week just flew by for us. We finished the week with our first lesson quiz over decimals and place value. These quizzes will be worth 50 points and assess the true understanding of the concept we have gone over in class. Students also started working their way through an online program that is part of our math series called i-Ready. It evaluates a students based on an initial diagnostic test they took the 2nd week of school. They then go back and practice lessons of concepts they struggled on in the initial diagnostic. They will take the diagnostic again 1/2 way through the year before Christmas and at the end of the year to monitor progress. This week our lesson will continue working through the relationship of decimals and fractions using the “power of 10” to compare them. Students will also be using multiplication and division to talk about the place value between #’s. The video below is a helpful video showing the power of 10 that we will be using in class. Welcome to math with Mr. D.! I’m very excited to teach work with students We are in the 2nd year of our Ready K-6 program. It provides for a deeper understanding and processing into standards set forth by the state for math. We have 5 main units and roughly 30+ lessons to conquer. Instead of going a mile long and an inch deep with curriculum will be diving deeper below below the surface to understand the “why” that goes with the “how” in math. Many students are able to “solve” problems, but don’t understand why they are able to do so. These updated standards and curriculum seek to fix that problem. There will also be an online component to our math program this year called i-Ready. It is online program/tool that allows students to be retaught or concentrate on standards/lessons that they may need additional support. It is the same program that students were exposed to last year if they were in the Westfield Washington district. We will spend roughly 30-45 min. a week on our new Chromebook computers in class doing this program. The benefits to this supplemental practice could be HUGE! It also makes sure that students get a lot of extra practice to not fall behind on concepts they’ll need for future grade levels of math. Keep checking back for weekly classroom updates on what is happening in our classroom. I’m looking forward to an exciting year!